Performing complex repairs at Christ’s gigantic hand is not a common thing to the Italian tire manufacturer, Pirelli. However, when the iconic statue of Christ the Redeemer, at Rio de Janeiro, was struck by a lightning, Pirelli entered in scene to finance the reconstruction work. The repairs happened a little while before Brazil hosting 2014’s World Cup and, since it was waiting for thousands of tourists, it was a cultural mandatory to secure the statue and present it with the best of looks. “For a monument like this, which receives two million guests a year – probably three million in 2014 –, such a damage could not remain unfixed,” said Paolo Dal Pino, Pirelli South America’s CEO at the time. Pirelli’s decision of financing the repairs was a social project in line with its “corporate citizenship” philosophy and coincided with its 85-year celebrations in Brazil. 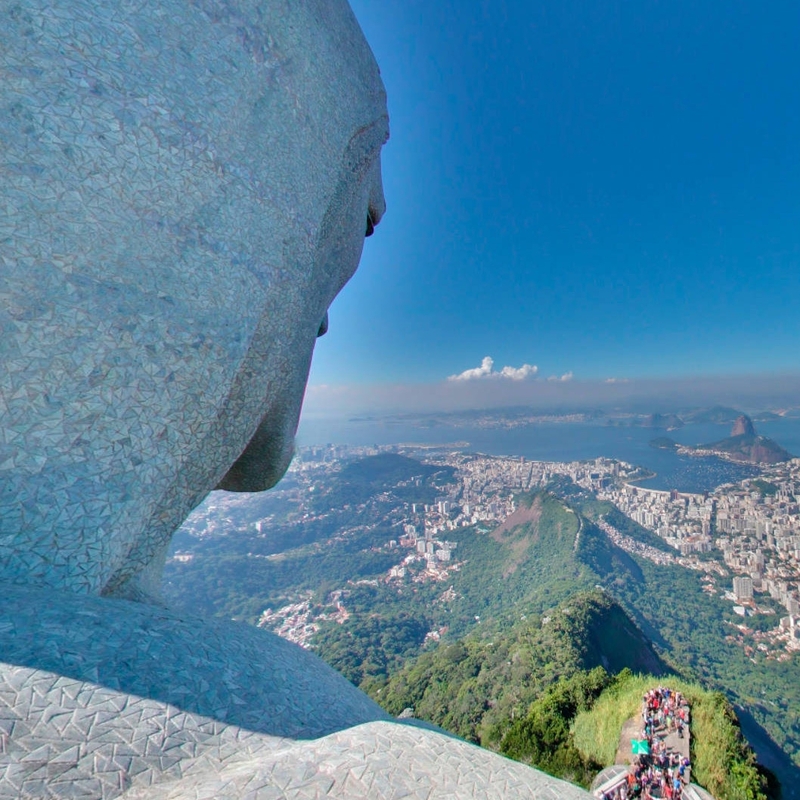 “Repairing Christ the Redeemer was the best thing we could have done to express our gratitude to this Country and to celebrate this anniversary,” said Dal Pino. Sustainability is Pirelli’s core. Since its creation, at more than 140 years ago, the company has been considering its environment as a fundamental source that must be preserved and respected. This philosophy is not limited only to the efficient use of resources, attention to its carbon footprint, and the development of products that help to reduce greenhouse gas emissions – it is extended to governing and social goals, including the proposal of adding value to the communities where the company works, in line with the Sustainable Development Goals and so widely respected by Pirelli’s values and on the Ethics Code. Most of Pirelli’s social projects involve local programs that focus in training, health, and quality of life. That may happen through a media campaign about the importance of tire maintenance and road safety, or by participating on the recycle day in Russia, but in some circumstances, a project like Rio’s statue may be displayed on headlines all around the world. In 2014, Pirelli spent more than €6,5 in social projects, great part of that in the local currency in emerging markets and developing countries. The projects are locally managed and must rigorously comply with the main development indicators (KPIs). It may be the number of assisted families, the number of trained students, or even the amount of cleaned area. The projects are reviewed by comparing the quantitative criteria to obtain numbers that stakeholders understand. Therefore, KPIs are a common language. In China, Pirelli developed a trainee program that offers to college students the opportunity to train at the Yanzhou factory, while a scholarship program at Qingdao Science and Technology University supports 25 students that present the best performance. It also supports the website China Confucius, which makes Confucianism researches. In Russia, Pirelli paid for and planted 5,000 small oaks as part of the World Recycling Day, sponsored a fundraising day in Voronezh, where it also participated by collaborating with several lectures about chemical engineering, and also supported a media festival in Kirov, where also are offered university internships. Great projects include the program Inter Campus partnership with the soccer club Inter Milan, which, at each year, gives the chance to hundreds of boys and girls, between the ages of six to thirteen years old, to learn and perfect their soccer skills. Another project is the relationship that Pirelli has with a hospital in Slatina, Romania, where the company has a factory. The company supports the professional training of doctors and nurses of Slatina Hospital in cooperation with Niguarda Hospital in Milan. More than 250 professionals were training in this program, specifically in oncology, pediatrics, and emergency care. Pirelli also donated medical equipment and devices to Slatina Hospital.